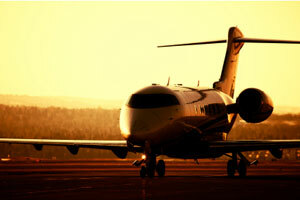 Corporate Jet Solutions offers professional, dependable and responsive airplane repossession services nationwide. We recover private, corporate and commercial aircraft of any size and type, from the single piston to twin turboprops and jets, and are dedicated to bringing an aircraft back to its legal owner. We understands the needs of financial institutions in repossession cases and our mission is to provide our clientele with quick, efficient, and safe recovery of their aircraft, while adhering to Federal, State, and local laws concerning repossession. As soon as Corporate Jet Solutions verifies your repossession request, our expert repossession team immediately identifies and locates the aircraft in question; then develops a recovery plan. While some repossessions go smooth, others require surveillance and special handling to assure the safe recovery of your asset. With Corporate Jet Solutions no-nonsense attitude, we stand ready to produce results and to deliver a target aircraft to the owner’s preferred location. CJS also has the ability to provide storage, maintenance and sales of your newly recovered asset. Our repossession pilots have over 15 years of piloting a wide variety of aircraft as well as years of law enforcement experience and are very experienced in the aircraft repossession process. Email Us or call 480.788.6090 for the professional recovery of your asset.